The great Russian painter Ilya Repin always insistently sought new methods and ideas that made his work more complete and deep. It is believed that he had a set of favorite objects and, accordingly, a limited circle of people whose portraits he painted. 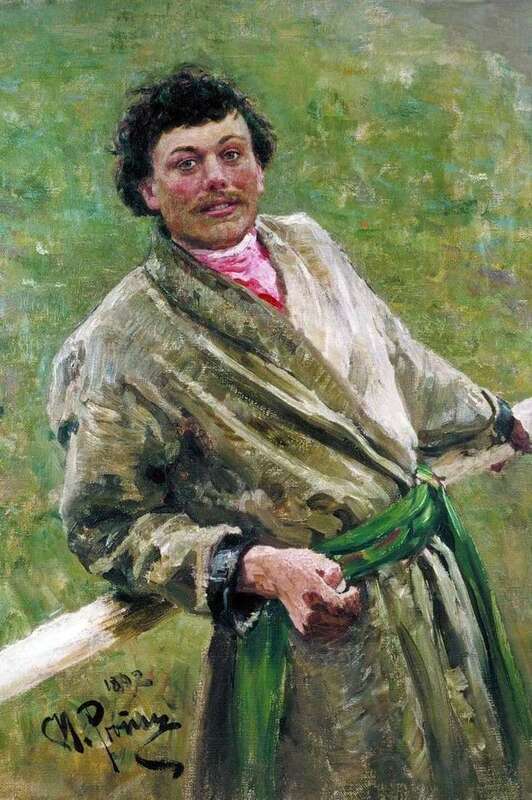 The picture “Belarusian” Repin wrote in 1892. Possessing a deep sense of dedication and aesthetics, as well as a great artistic gift to experience the state of mind and its reflection in the life and characters of the paintings. Belarusian – in a different way is called a portrait of Sidor Shavrov. In the village, which was located next to the Repin estate, there lived a boy, who remained very blind at an early age. However, many years later, the vision miraculously returned to a mature young man. Repin was so delighted with what happened that he asked the young man to pose for him for a portrait. We see a young man with a smile on his face, confident, strong, just won a terrible disease. The search for truth and ideal led Repin to the whole variety of themes and areas of his paintings, written under the influence of hidden aspects of social and spiritual experience, as well as national culture. Like most Russian realists of his time, Repin often based his works on dramatic conflicts taken from modern life or history. His method was the opposite of the general approach of impressionist artists. The artist did the work slowly and carefully. They were the result of careful and detailed study. Repin was never satisfied with his work and often drew several versions completely different from each other.